The current site of church is formerly known as Palayan ni Sta. Rosa, because of legend that a woman who looked like the image of St. Rose, was seen in the area during the disapperance of image of St. Rose in the original church. When the image reappeared, traces of amor seco, a grass found in the area, was found on the image's cloth. The lot was donated by children of Don Norberto Ty and Dona Salustiana Dee and built the church in memory of their parents. The church is located at M. L. Quezon St. Poblacion Brgy. San Gabriel, Teresa, Rizal. The entrance road going to church from highway is between St. Rose Square building and Jollibee Teresa. The original location of the church was located in front of municipal hall of Teresa along the main road. 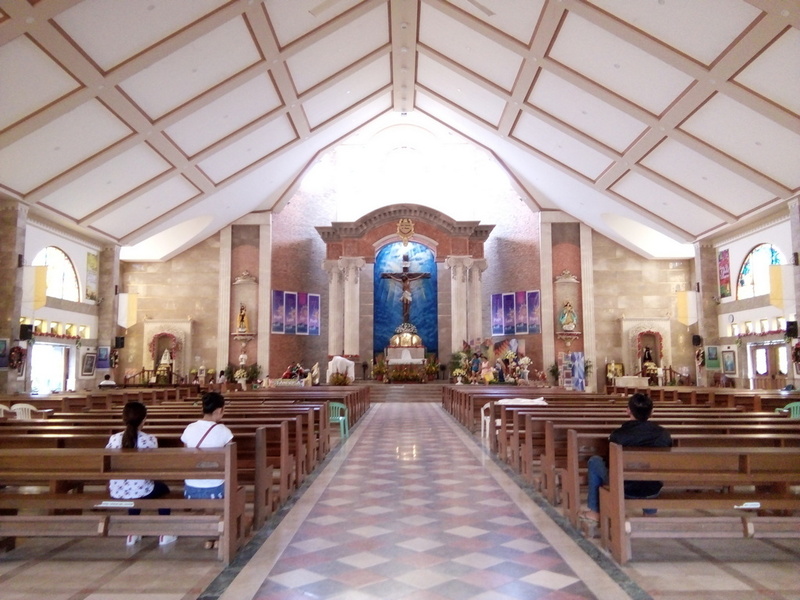 If you want to visit the church, you can ride any PUJ or UV Express - in Cubao, Quezon City or Crossing, Mandaluyong - going to Tanay via Antipolo, and the church can be found in the town proper of Teresa. If you have your own ride, the church can be found at this google map coordinate: 14.559689, 121.210289.